Bootleg Character – MoonFigures Collection, Art, and Reviews! 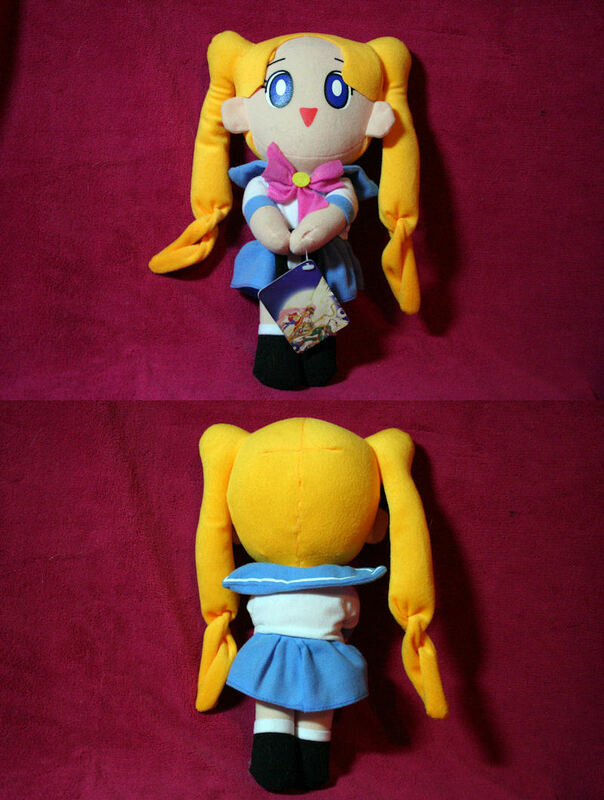 This plushie is quite adorable, although there are some inaccuracies such as the back bow. She is from FW and holds the proper Sailor Moon tag (some don’t). 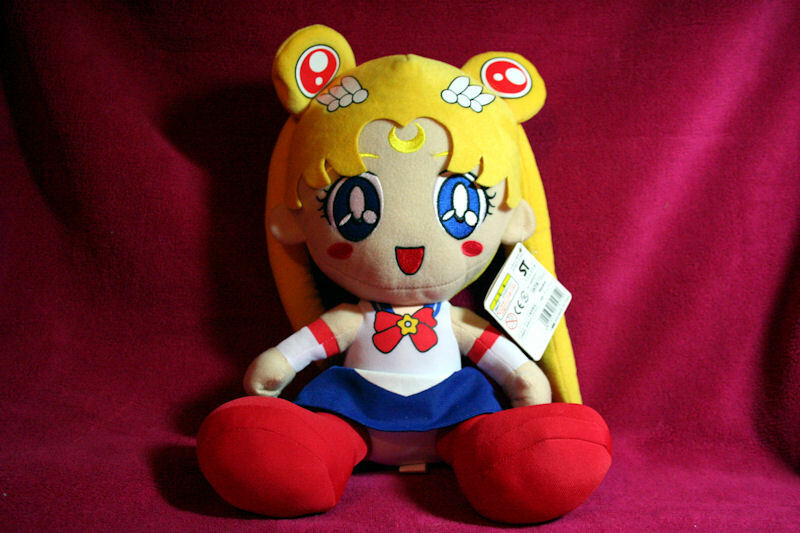 As a bootleg plushie I would suggest purchasing this one. She has a good pose and cute expression. The facial features are good quality and the hair is simple, but creative. This plushie is quite different from the rest of the plushies from FW. The hair is different, the face is printed and the tag actually shows a picture from the Card Captor Sakura anime. 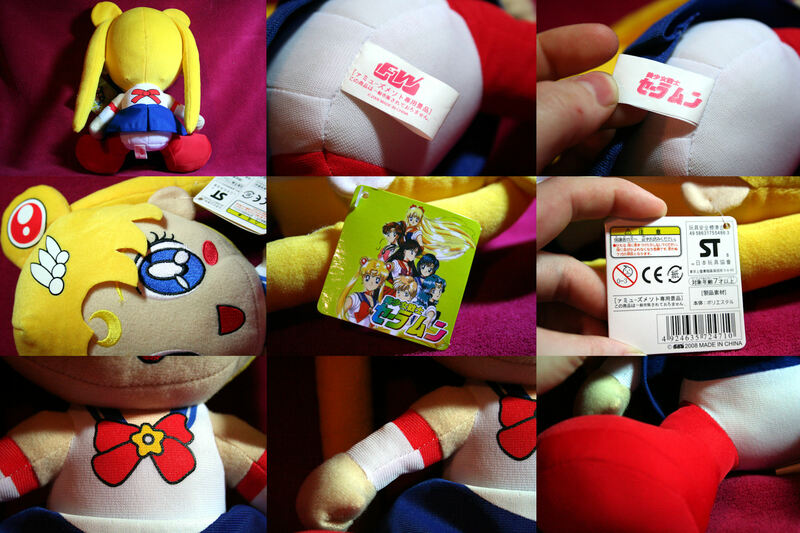 Her clothing is partially removable, but is lightly stitched to the plushie with 1 or 2 stitches. 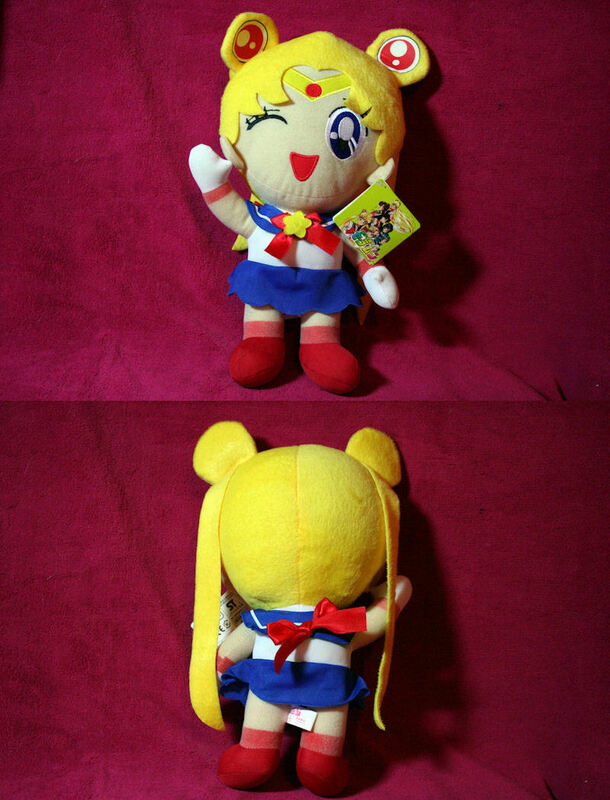 Oh, and it’s Usagi instead of Sailor Moon. I wouldn’t suggest this plushie to regular collectors. It’s not the most detailed or attractive of all SM plushies. Even the printed plushie below is more detailed than this one. This bootleg is adorable, and perfect for customizing. Her face is so childlike and adorable, while her clothing is rather inaccurate and odd, being that some of it is 3D and the rest is printed. For the cuteness factor, I suggest her. The quality is fairly decent and how could you possibly refuse that sugar sweet face?